The calls started coming on Tuesday, when snow was in the forecast for the nation's capital. "If/when DC shuts down for blizzard Thursday, Netflix would be smart to make new 'House of Cards' available one day early," tweeted Alex Conant, the press secretary for Florida Sen. Marco Rubio. Hundreds of people agreed, and said so online. Fox News anchor Greta van Susteren replied to Conant: "You are right...one day early would be appreciated." Someone even set up a petition on Change.org. 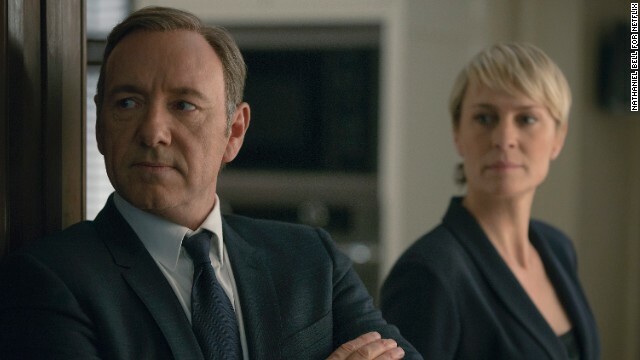 Like a lot of fans of the first season of "House of Cards," a Washington thriller starring Kevin Spacey and Robin Wright, I'd been planning on starting my binge-view of season two this Friday, the long-awaited release day. But with so many people snowed in along the East Coast, from Georgia to Maine, wouldn't Thursday make more sense?